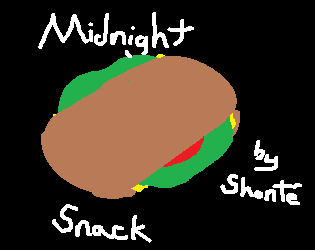 It's the middle of the night, and you're hungry. You can't sleep without a little food, so you venture into the dark house to find a midnight snack. You fear light will wake up your family, so you decide to trek through sheer memory of the house's layout. Can you make it to the kitchen without succumbing to the threat of a shoe or a couch cushion? This was going to be my entry for the Midnight Bitsy Game Jam, but I couldn't find the time to sit down and make it. Finally I sat down to make it, so here it is! Just a week late!